LAHORE: Eight lawmakers belonging to Pakistan Muslim League-Nawaz (PML-N), including six MNAs and two MPAs, parted ways with the ruling party on Monday, announcing the launch of a movement to make southern Punjab a separate province. Also, two MPAs – Ali Asghar Manda and Tariq Mehmood Bajwa – from Sheikhupura announced quitting the PML-N and contesting the 2018 general elections for National Assembly seats as independent candidates. They were speaking at a press conference here on Monday. MNA Khusro Bakhtiar said: “The purpose of the press conference is to announce a movement, Junoobi Punjab Sooba Mahaz (JPSM), to create a new province. “Making south Punjab a separate province is our one-point agenda,” he announced, adding that in the new province, the budget for one district would not be spent on the other. Along with Bakhtiar, Tahir Iqbal (MNA from Vehari), Rana Muhammad Qasim (MNA from Multan), Basit Bokhari (MNA from Muzaffargarh), Sardar Dareshak and Saleemullah Chaudhry also announced that they were quitting the PML-N.
Mir Balkh Sher Mazari has been made the head of JPSM. Bakhtiar has previously served as minister of state for foreign affairs. One of the reasons behind their parting ways with the party, the disgruntled leaders stated, was high poverty rate in the region, over 51%. "I greatly admire and respect Lahore but cannot forget the pain of south Punjab where my ancestors are buried," Bakhtiar noted, explaining the need for a separate province. Bakhtiar claimed that majority of the people of south Punjab are with him and will soon join the new alliance. The lawmakers said their alliance will be led by former interim prime minister Balakh Sher Mazari and Sardar Dareshak will be the president of the alliance. Sardar Nasrullah Dareshak also spoke on the occasion and said that feeling of deprivation among masses could only be ended by creating a separate province. “We are launching a movement for stability of Pakistan. Creation of new provinces would curb hatred,” Dareshak asserted, adding that at the same time, they would not sit idle till creation of the new province. Speaking on the occasion, Rana Qasim stated that the federation weakens when deprivation increases, while Tahir Iqbal said that both people and politicians of southern Punjab wanted new province. 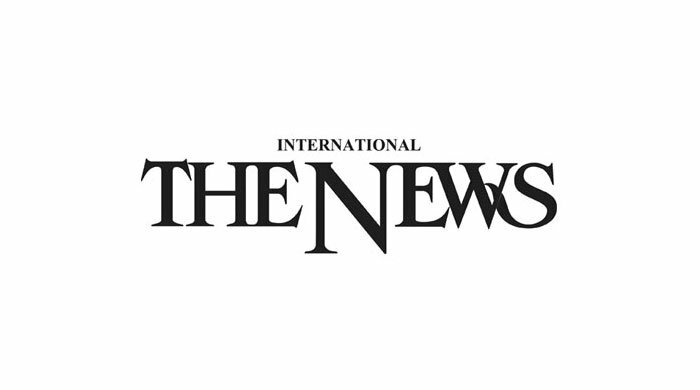 On the occasion, two MPAs -- Ali Asghar Manda and Tariq Mehmood Bajwa – also announced contesting the 2018 general elections for National Assembly seats as independent candidates. Manda has been a Member of the Punjab Assembly since 2008. He was elected as a PML-N candidate from PP-165 Sheikhupura-IV constituency in the 2008 general elections and was re-elected in 2013. Tariq Mehmood Bajwa has also been a Member of the Provincial Assembly since 2008. He was elected to the Provincial Assembly as a PML-N from PP-170 Nankana Sahib-I constituency in general elections 2008 and re-elected in 2013. PML-N Youth Wing Multan Pakistan Muslim League-N Youth Wing Multan office-bearers announced joining Pakistan Tehreek-e-Insaf (PTI) on Monday. Makhdoom Shah Mehmood Qureshi said on the occasion that PTI wanted active and sincere workers to convey the PTI message to people. PML-N Youth Wing District President Sheikh Wajid Shaukat announced quitting the PML-N and joining the PTI along with other office-bearers.